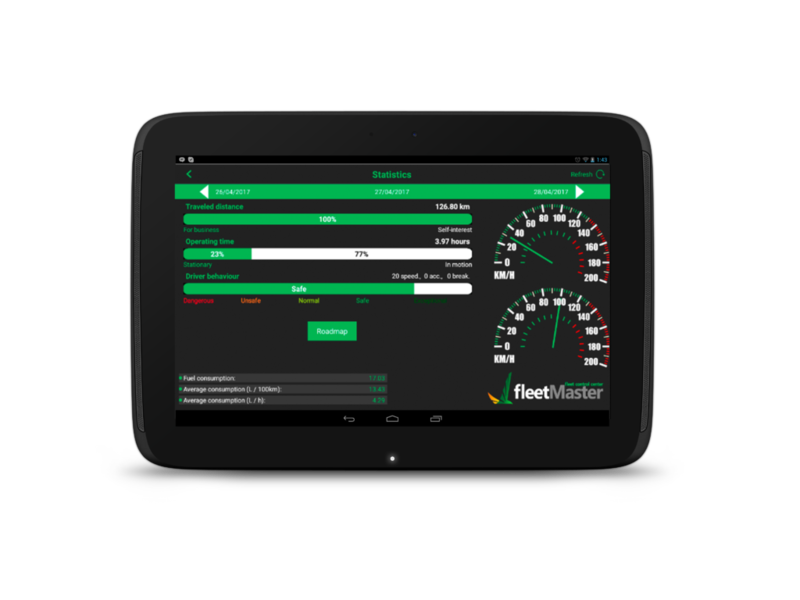 FleetMaster is a cloud based application and has been designed to expand without limits and to operate large scale fleets without any constraints. The user interface is 100% web based, accessible from any browser and capable of working in a multi-monitor environment with dispatch capabilities as well as in a standard laptop or desktop. The Driver application provides the ultimate workforce tool and connects the driver with the dispatch in real time. and brings all the necessary information to their fingers. See all your vehicles on mobile device, as a list or as a map, and search/filter/ order the vehicles as you wish. Check the roadmap of any vehicle and see on the map the graphical route. Receive alerts from your fleet in real time and access the details without time restrictions. Check the driving score and behavior of your drivers and make instant decisions. 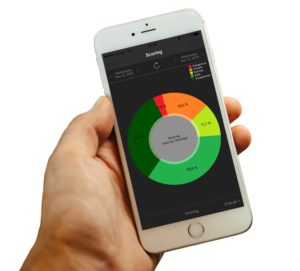 Complete graphical overview over your fleet’s activity on your mobile phone. Communicate in real time with your car, arm/disarm, receive alarms and send instructions. Exceptional graphical synthesizing with interpolation up to 50 variables per chart – localization and diagnosis for periods of years, in less than 2 seconds! Intelligent algorithm for scoring drivers in order to improve their efficiency. Diagnosis and treatment of behaviour to improve fleet efficiency. On-line control of the route and of the load carried, including Kg / Km reporting. Interactive tracking of the real time planning routes. Real- time multiple screens system with automatic graphical viewing of over 100 parameters interpolated into an exceptional dynamic presentation. The spatial definition of the points of interest with the exact shape of the objective and the possibility of generating alerts from the street level. Interpolated analysis of the fuel / km / speed and 40 engine parameters. Audio- video real-time communication with the drivers and video surveillance of targets. Customization mode of the system allows the configuration in accordance to the needs of business and taxation according to use. Route alert right after leaving the road. System for detecting the fuel level in the tank with a resolution of 10 ml by means of the analysis of 8 parameters simultaneously using a particular interpolation algorithm. On-line control of the real fuel consumption for any vehicle or machine obtained by mathematical interpolation of all events (including theft). Autonomous fleet tracking and control system without human dispatching based on programmed parameters and priorities, with automatic reporting of the key parameters. Automatic diagnostics and automatic identification system of the fleet problems with display on priority screens in an instant presentation. Hardware and software integrated support technology with automatic reporting of the issues to the Support Centre and provision of Call Center services. Interactive order delivery of goods to and from warehouses. Autonomous dispatching for transport companies and automatic transport management. One single Pivot table report replaces up to 100 standard reports. Any type of global situation per fleet that passes through a POI or address, unauthorized power, maximum speed in a point, unauthorized travels, divisions grouping versus cost centres, ordering km covered vs. Illegal stationing, are obtained in a few seconds, in any combination! SAM – Security Alarm Management.Automatic dispatching of the alarms coming from security systems and automatic management of interventions.